New research published today states that Scottish motorists pay less for their car insurance than English drivers. 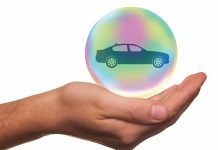 The survey was completed by moneysupermarket.com and included about one million motor insurance quotes that were issued over the past 12 months. The quotes showed that Scotland is able to offer seven of the cheapest UK car insurance quotes out of the top ten cheapest quotes found in the survey. Truro topped the list as the best place for cheap car insurance. The only two locations that were not in Scotland that made the list outside of Truro were Bury St. Edmunds and Penzance. The most expensive places to purchase auto insurance were in Manchester and Birmingham. Areas within both of these cities make up six of the ten most expensive places in the survey to base your auto insurance premium with motorists in Manchester paying about £500 more than those that live in Scotland. Liverpool which used to be considered the worst place to live for auto insurance only had one area make the list this year. 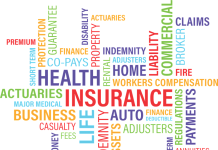 Head of motor insurance at the website Steve Sweeney said that there are a wide array of reasons that the price you are charged for may change based on where you live such as the population of the city to the crime in the area. Sweeney continued to say that areas that are high risk often get blanket rates assigned to them making insurance rates much higher than if they were kept on a case by case basis.